Panic has continued to reign in Ukanafun Local Government Area (LGA) of Akwa Ibom State following the latest kidnap of a member of the National Youth Service Corps (NYSC), Akpanabia Kelvin Udoworen, in the locality. 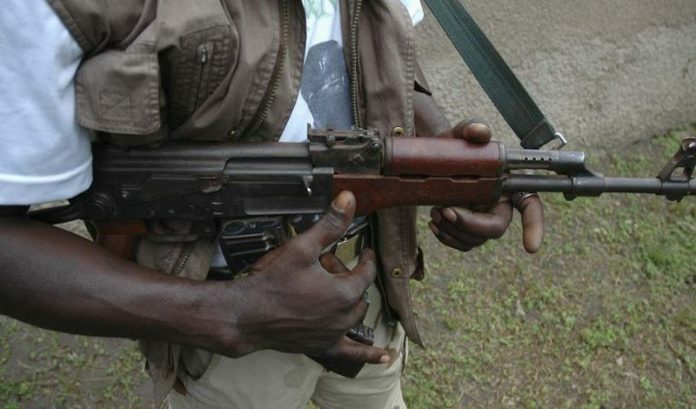 The latest incident came about two weeks after a staff of the Independent National Electoral Commission (INEC) and eight others were rescued from kidnappers in Ukanafun and the Etim Ekpo LGAs. The kidnapped youth corps member is an indigene of Ukanafun LGA but currently serving in Birnin Kebbi, capital of Kebbi State. The incident reportedly occurred at the village of the youth corps member, Nto Okon Usung Itike, last weekend. About three days after his abduction, the kidnappers are yet to open contact with his family members . Sources said the victim who is a son of the President of a prominent socio-cultural organisation, Esop Ikpaisong Afaha (EIA) in Ukanafun Local Government Area was abducted by the kidnappers at gun point. Udoworen was said to have travelled from Birnin Kebbi to visit his parents after completion of his camp orientation exercise. “He arrived last Friday and the following day, Saturday, the hoodlums got wind of his arrival and stormed the compound at Nto Okon Usung Itike to whisk him away after brandishing AK-47 rifles and machetes.” a source stated. The militants, mostly of the Iceland cult groups, have been kidnapping for ransom in the last two years, forcing Governor Udom Emmanuel to outlaw no fewer than 33 cult groups. The Police Public Relations Officer (PPRO), DSP Odiko Macdon, said he was yet to be briefed by the Divisional Police Officer (DPO) in-charge of Ukanafun.